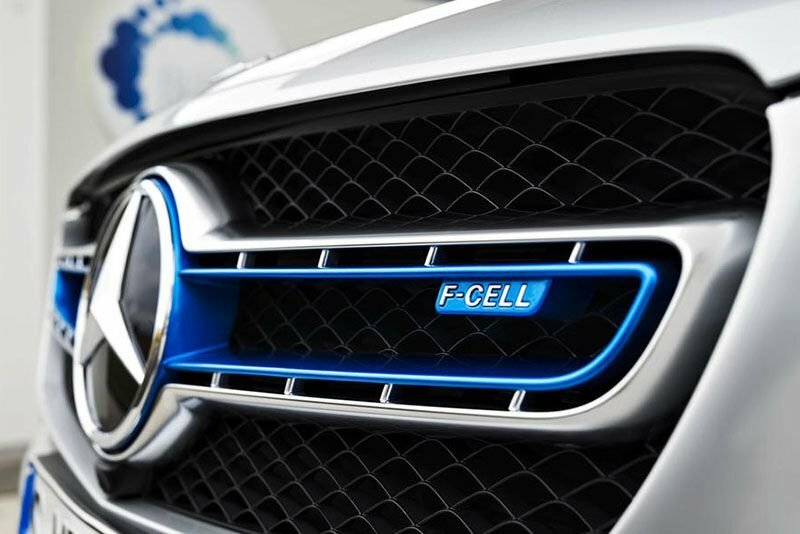 Home / Automotive / News / The Mercedes Glc F-cell ' Hydrogen Power! If you're not sure why there are even such things as hydrogen powered cars then you had better get on the band wagon and find out more because Mercedes will be selling one in the US in 2019. Hydrogen-powered cars have fuel cells that are more efficient than diesel or petrol engines and also eliminate the pollution caused by these fossil fuels. At the moment, Mercedes is competing with the Toyota Mirai and Honda Clarity in the nascent hydrogen-car market – but who will win? Let's take a look at the newest contender, the hydrogen version of the GLC midsize SUV. Now, I should also mention that Ford is assisting in this joint venture and they should be ready to make it available to market at the end of 2019. The Mercedes GLC F-Cell will have two carbon-fibre tanks that can hold 4.4 kilograms of hydrogen with a separate 9.3 kWh battery pack. This pack will help energise the vehicle when the power is low. Unlike the Toyota and Honda small cars, the hydrogen tank will fit better in Mercs SUV, leaving the passengers with a lot of room. There are four operating modes: Hybrid, F-Cell (Meaning the casxdrvr will primarily draw from the hydrogen tank to preserve battery life), Battery and Charge. The SUV comes with driver assistance such as lane keeping and blind-zone alert, among others. Mercedes has said the Fuel Cell stack, combined with the battery, has a range in the region of 271 miles on a single charge, although this will change when it's rated by the Environmental Protection Agency. Marc also says the car can get up to 197hp and 278lb ft of torque which, electronically speaking, means that on hydrogen power alone it can reach a top speed of 99mph. At this stage, it's unsure how much Mercedes will charge for the GLC F-Cell car but, let's be honest, it's likely not going to be cheap. Let us know in the comments section below what you think of which, either hydrogen or electric, are going to win over the world.